February 12, 2015 | by Darcy Blake “When people with Parkinson’s Disease realize they have the power to improve their speech, swallow, and language function, there is an “ah ha” moment and progress begins immediately,” said Megan Depuy, Speech, Language and Swallowing Therapist. 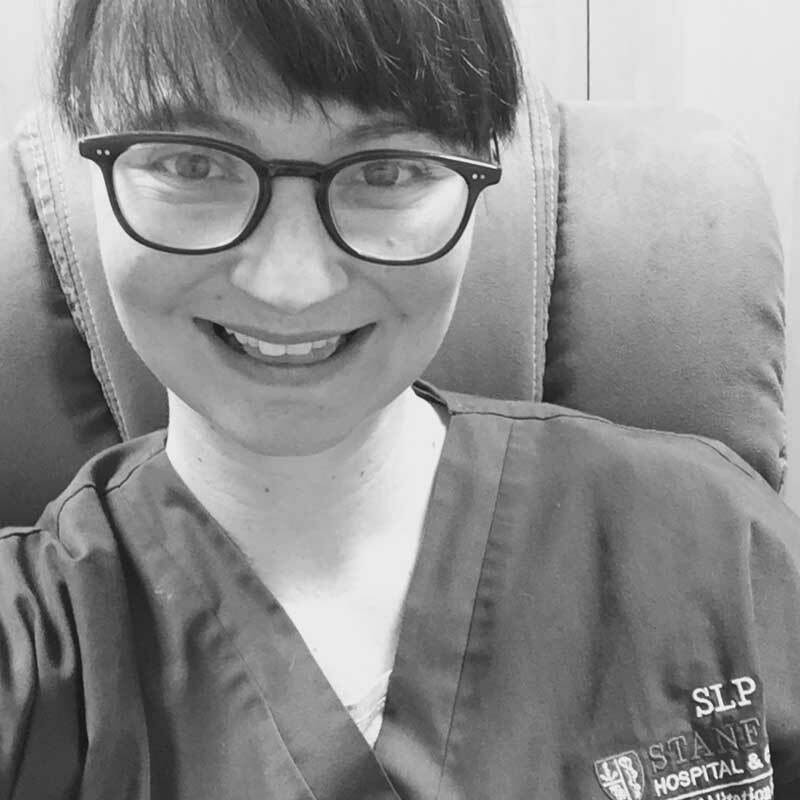 Megan’s passion for providing unique and individualized speech, language and swallowing therapy led her to open her own practice after working for 11 years as a therapist in acute care; acute rehab; skilled nursing; adult day care; pediatric outpatient; and adult neurorehabilitation outpatient settings. In addition to working in her own practice, she is the lead Outpatient Speech Language Pathologist for the Neurorehabilitation program at Stanford University Hospital. Megan’s work in the neurosciences started 14 years ago when she was a student researcher at the Harold Goodglass Aphasia Research Center in Boston MA. Her work at the research center sparked a passion for working with Neurology “Neuro” patients. Prior to working at Stanford, she worked for 7 years at Mills-Peninsula Health Services in San Mateo and Burlingame treating and evaluating both pediatric and adult patients. Teletherapy sessions including LSVT via Teletherapy. Voice treatments and assessments for adult patients, including LSVT evaluations and treatments.